Money Q&A: How can I keep the kids amused for free this Christmas? 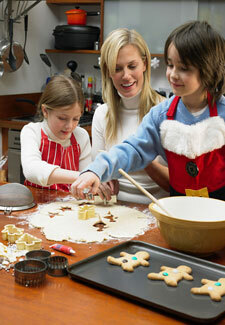 Q: How can I keep the kids amused for free this Christmas holiday? Visit christmasgifts.com, where you’ll find loads of Christmas themed clipart that can be downloaded, placed on blank paper and printed out for the kids to colour in or use in festive artwork. There are lots of Christmas-themed arts and craft ideas at the CBeebies and CBBC websites, as well as songs, games and even stories to listen to. If your children love to bake, visit the GoodToKnow website, where you’ll find delicious recipes such as edible tree decorations. The only question really is – will they have enough time to squeeze this all in? Merry Christmas.